Attorney D. Mark Elliston is Board Certified in criminal law by the Texas Board of Legal Specialization, an honor bestowed upon less than 1% of Texas attorneys. When you need an experienced defense attorney in Dallas, TX, reach out to the law firm of D. Mark Elliston, Attorney at Law. We can help. When your freedom and financial security are at stake, experience matters. If you have been arrested for driving while intoxicated (DWI), charged with investment fraud, accused of assault or have been charged with another crime, you need to protect your rights. At the law firm of D. Mark Elliston, Attorney at Law, we have the experience to handle all of your most challenging and important criminal legal matters. Mr. Elliston has been practicing criminal law for more than 40 years. After nearly eight years as a prosecuting attorney, assistant district attorney for Dallas, Texas, and assistant United States attorney for the Northern District of Texas, he switched the focus of his law practice to criminal defense. Since 1981, he has been representing individuals who have been accused of both federal and state crimes in the Dallas Metroplex and other parts of Texas. 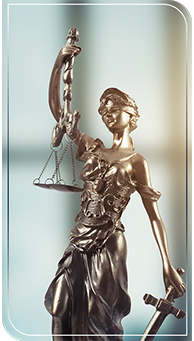 This extensive experience on both sides of the criminal courtroom gives him a nuanced understanding of the criminal process, and helps him to protect and promote the interests of his clients fully. Board-certified in criminal law by the Texas Board of Legal Specialization. Rated AV Preeminent since 1984. This is the highest peer review rating for legal ability and ethical standards that a lawyer can receive. It is the pinnacle of professional excellence earned through a strenuous peer review rating process that is managed and monitored by Martindale-Hubbell. Only 10 percent of lawyers in Texas have this rating. Named for inclusion in the Texas Super Lawyers a number of years by Texas Monthly magazine. Named by a number of publications as one of Texas' top lawyers. Co-author of volumes one, two and three of the Texas Practice Guide: Criminal Practice and Procedure, now in its 14th year of publication. Speaker and faculty member of the State Bar of Texas "Advanced Criminal Law Course" for 17 years. Whether you have been charged with a crime or are anticipating a future investigation, start building a strong defense with the help of skilled legal counsel. Call us at (214) 752-0400 or contact us online to schedule a time to discuss your case. Call our skillful attorney for a consultation. Thank you for your interest. For questions or comments, use the information below. Mr. Elliston looks forward to hearing from you.